Gaylon Findlay is the president of Incline Software, the company that creates Ancestral Quest. Incline Software is based in South Jordan, Utah. Gaylon has been developing genealogy software since 1993, and is the primary author of both Ancestral Quest and Personal Ancestral File. 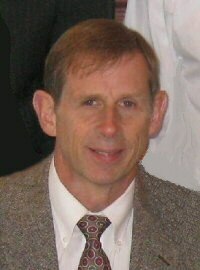 Prior to his work in genealogy, he spent his High School years in Frankfurt, Germany, served an LDS mission in Finland, graduated from Brigham Young University and spent 12 years in the San Francisco Bay Area as a computer consultant. He is married to Gale Johnson of Westminster, California, and they are the parents of 5 children.